CRIME, GUNS, AND VIDEOTAPE: Arizona’s, John Shadegg won’t seek re-election to an eighth term in Congress. 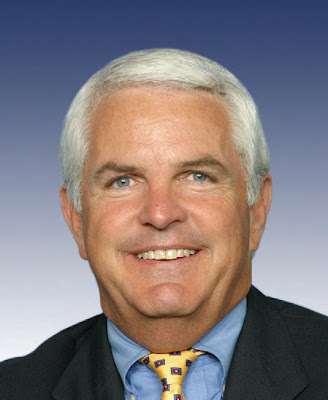 Arizona’s, John Shadegg won’t seek re-election to an eighth term in Congress. It was a sad announcement to hear the 58 year-old is stepping down and the end of his term. In his statement Shadegg said he will look for a different capacity to serve our country. John Shadegg is truly a White Knight of the highest order and an acquaintance of mine. Shadegg is a real Conservative who served for 14 years with distinction and grace as he fought runaway spending, out of control government and its constant corruption. At the same time Shadegg fought hard to protect our ever shrinking freedoms and liberty. I had hoped to see his name on a Presidential ballot instead of the names we’ve got. I don’t count Shadegg out as a strong American political leader or future Presidential candidate. I just hope to see that happen. Update! 138 House Republicans have signed a letter asking Shadegg to reconsider and now he's considering a reversal of his plans!